This Magnificent, Unobstructed View Of Beautiful Lake Cumberland! 22 miles of shore line with an avg. summer water temperature 60 degrees. Vallecito Lake, sheltered in a mountain valley 8,000 feet above the sea, is one of the largest and most beautiful bodies of water in Colorado. The San Juan National Forest and Weminuche Wilderness, over 2.5 million acres of public land, surround Vallecito Lake. Access to the lake is free of charge. Only 23 miles northeast of Durango, Vallecito Lake offers a variety of accommodations and recreational opportunities, including record-breaking fishing, boating, fantastic hiking, and horseback riding in the summer. 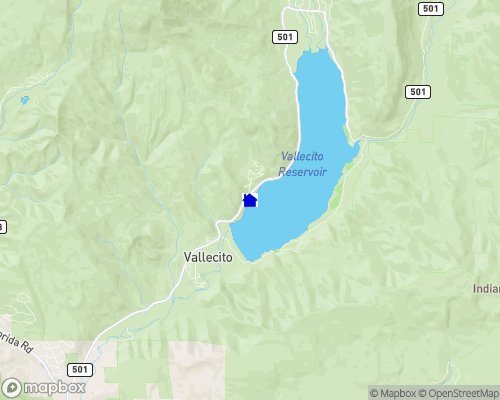 Vallecito Lake area is a perfect destination for fishing vacations. Here you will find Rainbow, German Brown and Cutthroat Trout, Northern Pike and Kokanee Salmon. Fall brings spectacular colors and cool mountain evenings. It is a great vacation destination to enjoy Fall Foliage tours. The area also offers world-class hunting for elk, deer, bear, and turkey. During the winter season, you and your family can enjoy miles of cross-country skiing and snowmobiling trails. Because the lake is located at the heart of the Four Corners, it is a perfect vacation destination with access to all the major attractions and activities the area has to offer, including the Durango and Silverton Train, Mesa Verde National Park, Durango Mountain Resort, and Wolf Creek Ski Area. Durango also offers a wide range of entertainment and activities such as art gallery walks, concerts and special events, excellent dining. The outdoor activities in the area include rafting, kayaking, mountain biking, camping, skiing, and much more.